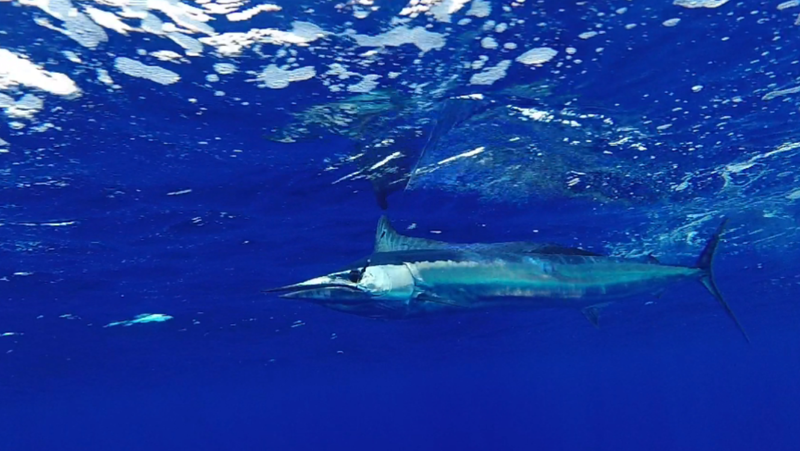 Join us on the Maverick for the Kona Sportfishing trip of a lifetime. The Maverick is as close to a first class Kona charter fishing boat as possible. Immaculately maintained and meticulously clean and well-apportioned, the Maverick is the perfect boat for finding the fish, and having a comfortable, relaxing day on the water. 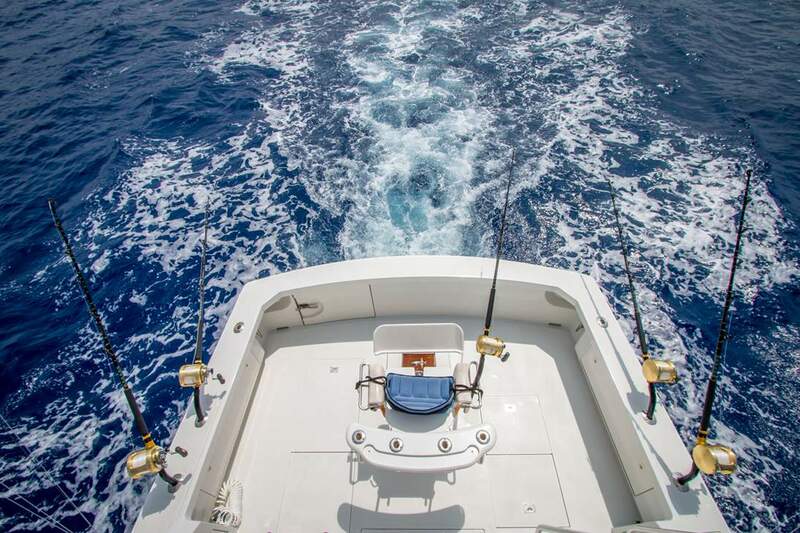 With full, 3/4 and half day charters available, we offer an unparalleled luxury fishing experience on the Maverick. The 38’ Bertram custom boat features a full air-conditioned galley, a salon with HD television, WI-FI and all the comforts one could imagine in a charter boat. Add to that, top-level gear and electronics and you have a world-class boat ready to fish. 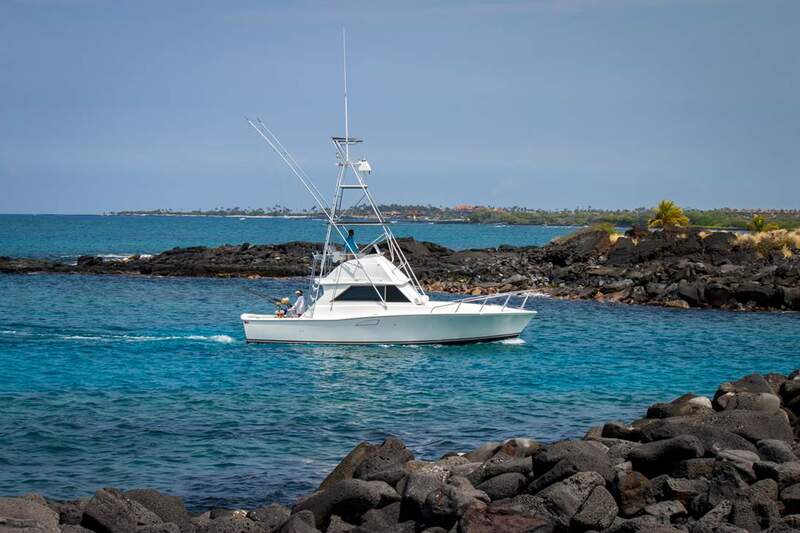 Our goal is to get you to the fish and provide you with Kona fishing memories to last a lifetime–all in the comfort of a top-notch boat guided by an experience captain and crew. Captain Trevor has been fishing the waters off the Kona coasts since childhood. His lifetime of Kona fishing experience will help you the catch the Marlin, Spearfish, Ahi (Tuna), Mahi-Mahi, Wahoo (Ono) and other game fish that populate the crystal clear, pristine water of Hawaii Island. Knowledge, professionalism and an easy-going personality make Trevor on of the top captains of the Kona fleet. The Maverick with Captain Trevor is a family-friendly fishing chart in Kona. Whether it is a group of guys, a couple or a family with children, the Maverick is a great choice for your day, half-day or ¾ day Kona fishing charter.